In Amsterdam, where bike sharing programs have been a thing – a very popular and successful thing – for years already, a new kind of bike is about to make serious waves. 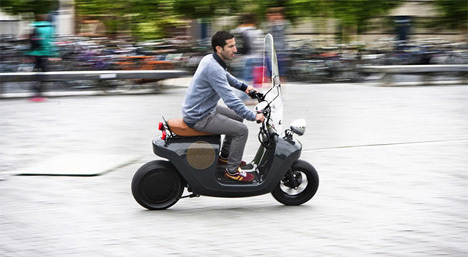 The Be.e is a fully electric scooter with a super-strong shell made from sustainable hemp fibers. It can definitely keep up with its non-electric and non-sustainable counterparts: the Be.e has a top speed of 30 MPH and a range of 50 miles. As a collaborative project between Van.eko (the startup behind the project) and designers Waarmakers, the Be.e is a shining example of great design. The natural materials used to make the shell are incredibly resilient. 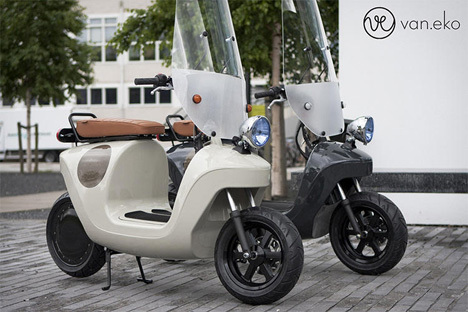 The folks at Van.eko say that in a minor collision, the body of the scooter will sustain minor scratches or scuffs – it won’t fall apart like some other scooters. The body is made with the same process used to make Formula 1 race cars. The goal in the design seems to have been to keep it as simple as possible. There are very few moving or movable parts. The hub engine in the rear wheel has only one moving component itself. 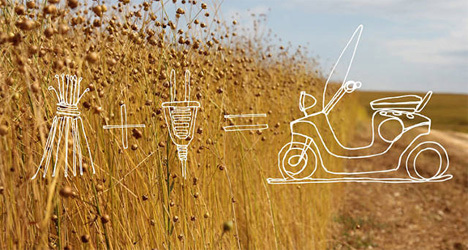 Because the bioplastic shell is load-bearing and creates the actual structure of the scooter, there are no connections, joints, or welds to degrade and cause problems. 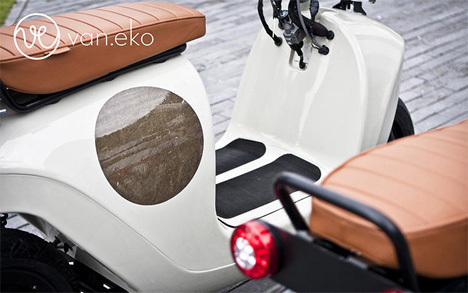 Because the scooter is so different from others on the market – it’s fully electric and made of natural materials – Van.eko decided to keep the appearance quite traditional. 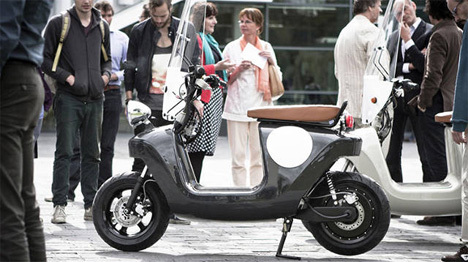 When you look at the Be.e, it immediately calls to mind the iconic design of the Vespa. It even boasts a luxurious leather saddle and handy bug shield. Don’t fall too deeply in love with the Be.e unless you live in Amsterdam, however. These beautifully designed frameless scooters won’t be available for purchase. They will only be leased; a monthly fee lets you ride the Be.e as much as you like. If anything goes wrong with the scooter, Van.eko will fix it or replace it for free. Lessees will even be able to sub-lease their scooters to other people or start their own scooter-rental business. See more in Bikes & Cycles or under Transportation. September, 2013.